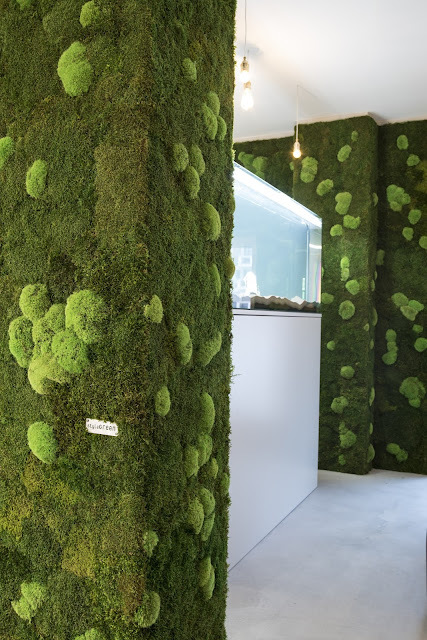 The flat and pole moss wall is based on a flat moss subsoil, which is accented with clumps of pole moss. 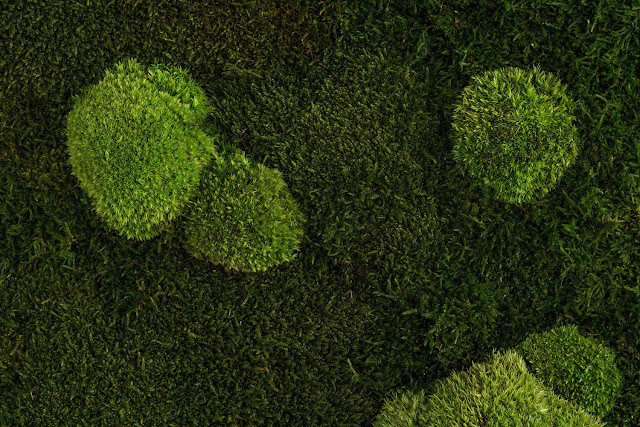 The flat moss plants with uniformly distributed clumps of pole moss looks very tidy and is reminiscent of a Nordic forest floor north of the tree line. 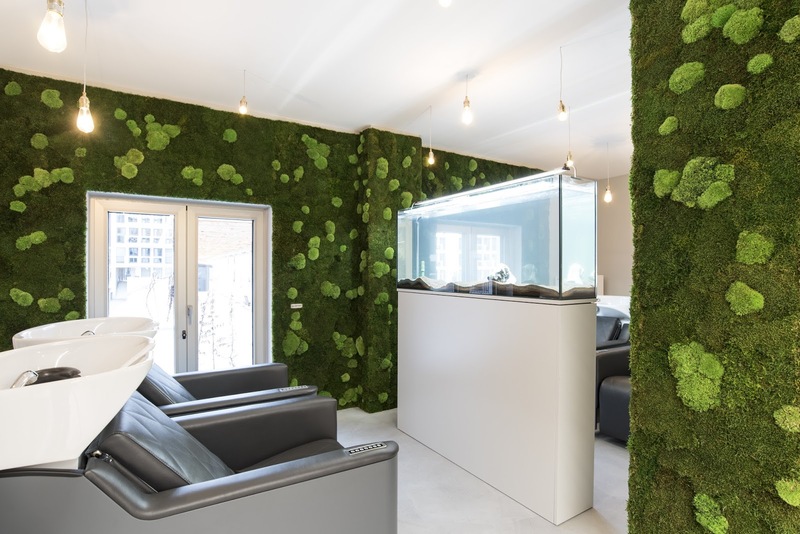 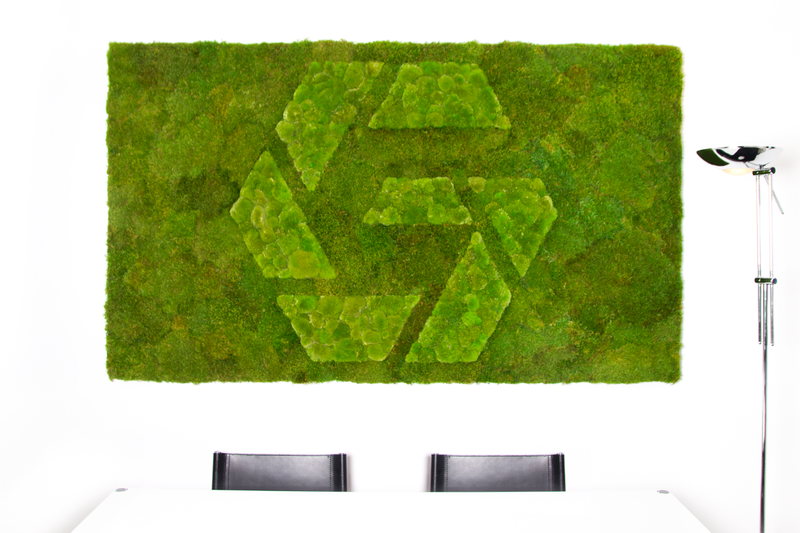 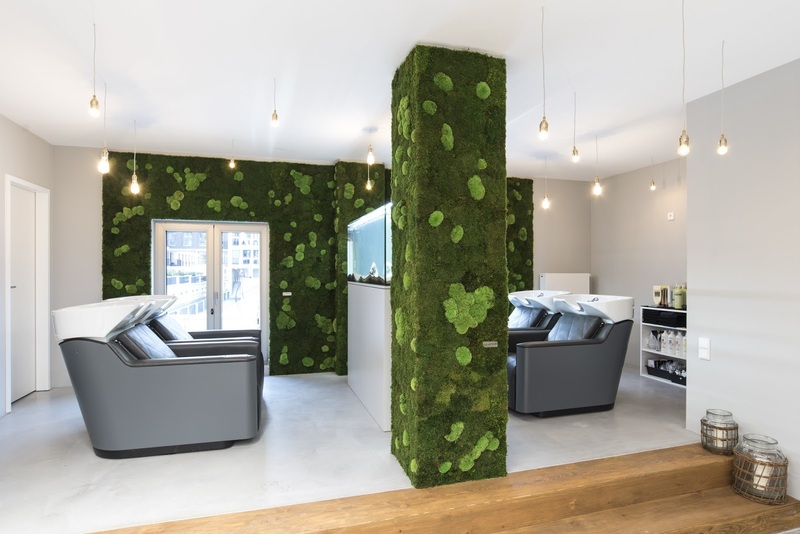 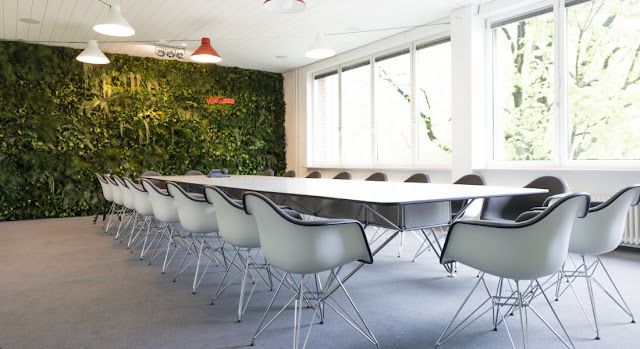 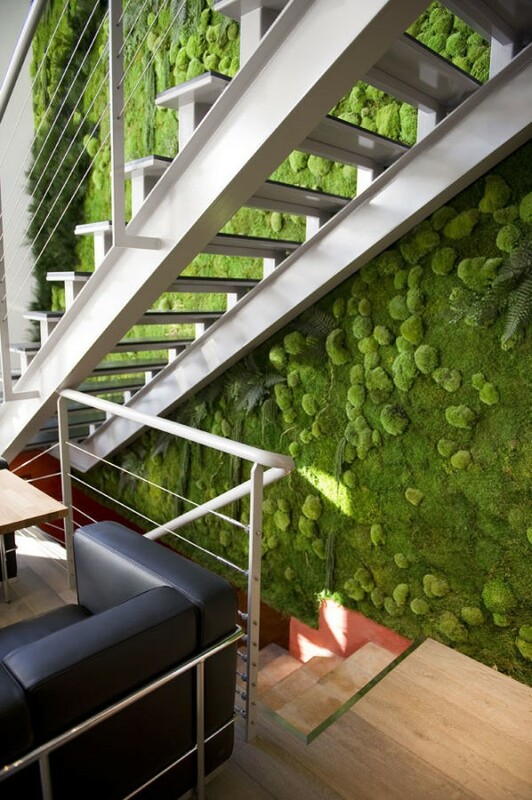 Product details on the green wall: Set on a gentle flat moss subsoil, clumps of pole moss are spread across the wall, giving the panels a varied and at the same orderly design. 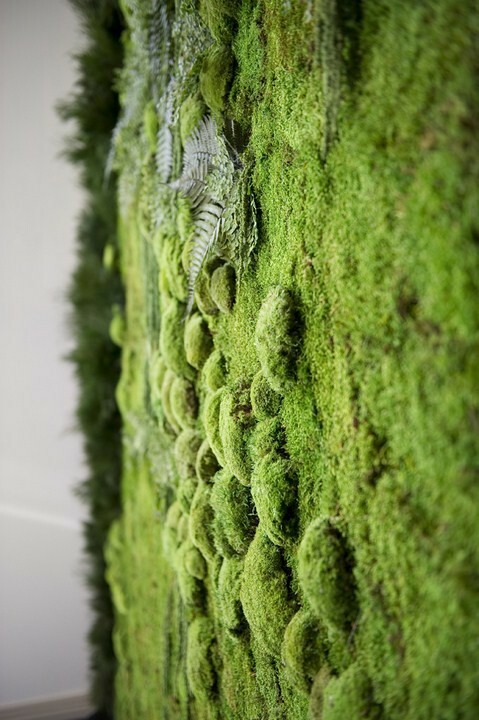 The pole moss, which is actually not a moss but rather a lichen – i.e. 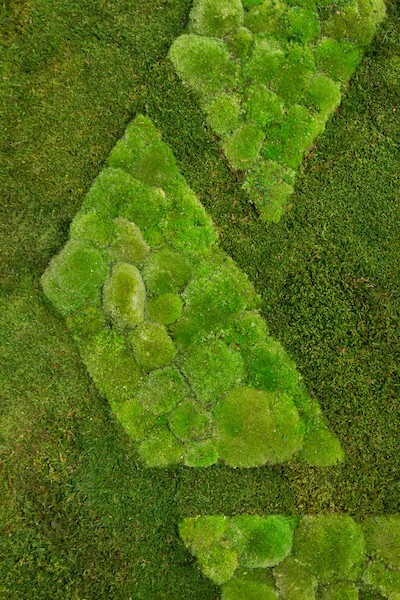 a symbiosis of algae and fungus – forms lush, fresh pads that rise from the subsoil with their round form. 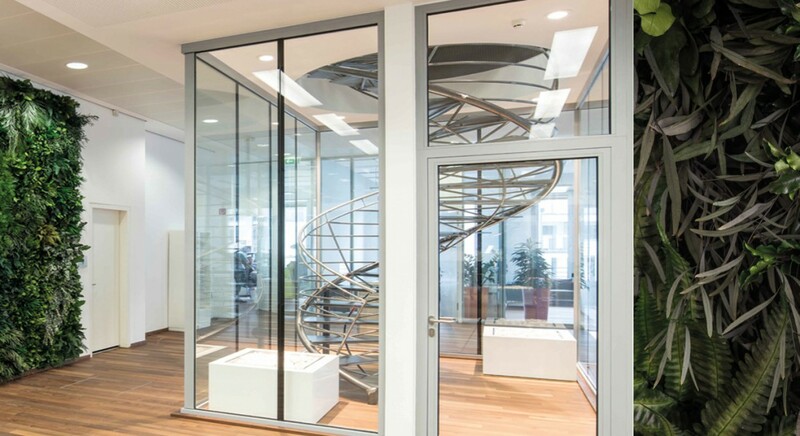 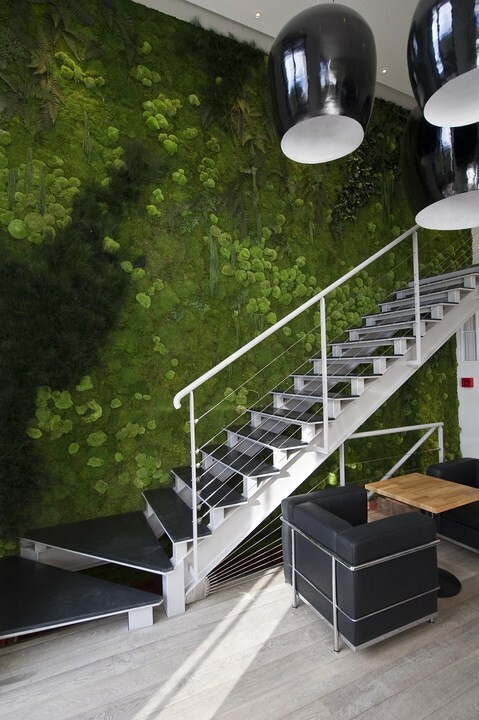 The result is a form of vertical greenery that not only insulates sounds, but also requires no maintenance thanks to a special preservation process – so no additional costs and no watering. 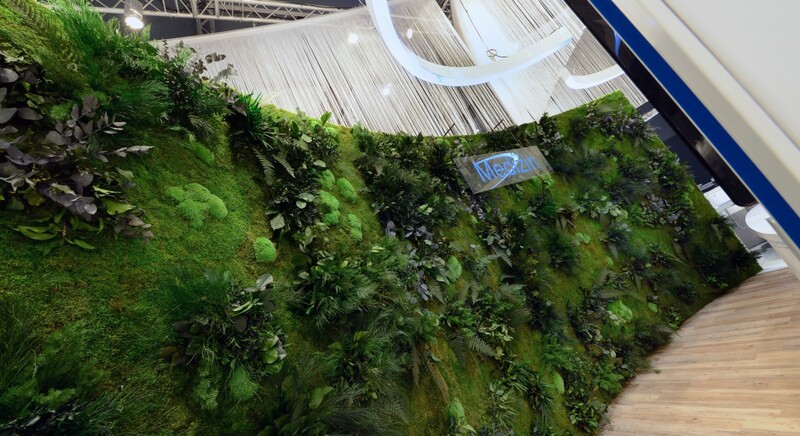 Individual dimensions and different shades guarantee a unique character for any moss wall. The flat moss wall is versatile, livens up bedrooms and dining areas and transforms dreary conference spaces.When this wall is around, it’s easy to forget that you’re not on a densely planted, lusciously soft clearing in the Nordic tundra.